Improving English language vocabulary is tough with the vast number of words, by hearting them would not best the beast way to learn new words to improve your vocabulary, instead using new words in our work, or while using them as we speak can help us a lot. 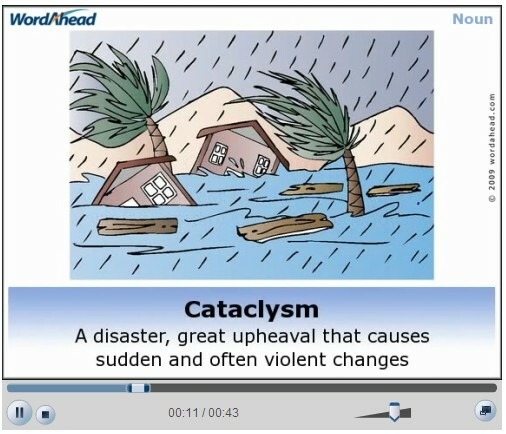 To learn new words is not an easy task, WordAhead an online picture dictionary makes learning new words easy with videos that are less than a minute, and show you the meaning of the word, a picture that describes the word, and a sentence read with the new used in it and also synonyms and the part of speech at the top right corner. This can be helpful for studying for exams like GRE, TOEFL, SAT, IELTS, CAT etc. This makes it easy to learn new words at our own pace, and as this is an online tool you need a good internet connection to watch videos continuously. Improve your English Vocabulary at WordAhead.